Our staff is dedicated to equipping our coaches and volunteers to serve our youth and our city. Katelyn began working in the sports ministry world early in life, starting with assisting with trips taken with Missionary Athletes International in Japan where she grew up. 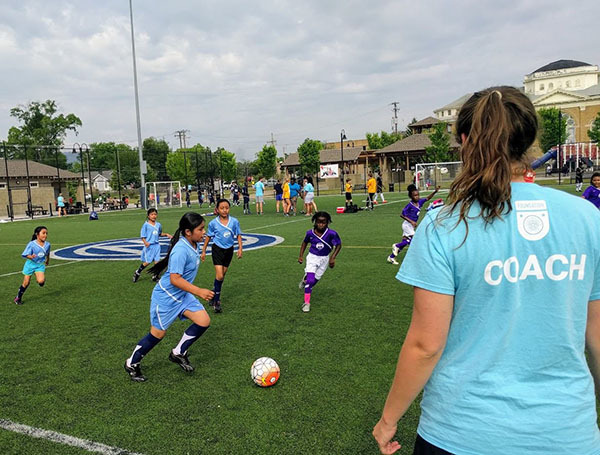 After playing soccer and studying Community Development with an international studies focus at Covenant College in 2013, she began working with Chattanooga Sports Ministries as a coach. In following years Katelyn took the role as CSM’s Program Director, and currently serves as Director. She is passionate about seeing men, women, boys, and girls of every ethnicity and socio-economic class see equal opportunities to grow and flourish. The game of soccer has played a big role in her own development, and she loves the way it connects and enriches people’s lives. AC has been involved with soccer ministry since 2012. She graduated from Covenant College with a Bachelors degree in Economics and Community Development and from Belhaven University with a Masters in Business Administration. AC has been playing soccer since the age of 5 and loves seeing how the sport builds relationships and bridges communities. As a native Floridian she is an avid fan of the Florida Gators! Stefan Graduated from Berry College with a Bachelors degree in Biology and has over 4 years of experience in mentoring and youth development. Stefan is passionate about community development through identifying and empowering young leaders. Our coaches are trained in Whole Life coaching to help address the physical, emotional and spiritual needs in their players, aiding in their development and preparedness for adulthood. Volunteers assist with coaching, game day operations and our Adopt-a-Team initiative.